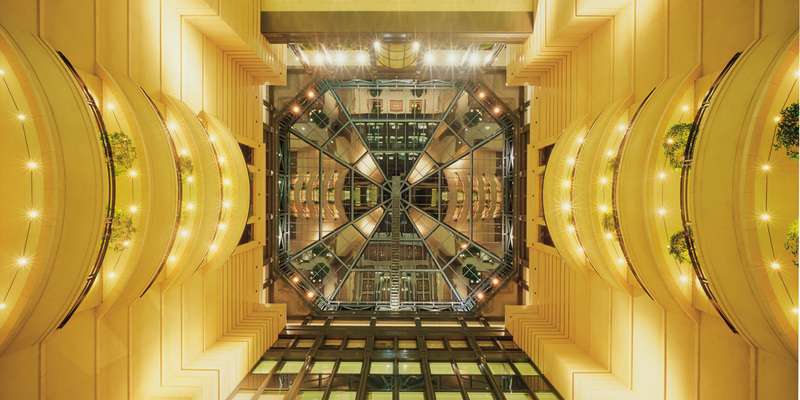 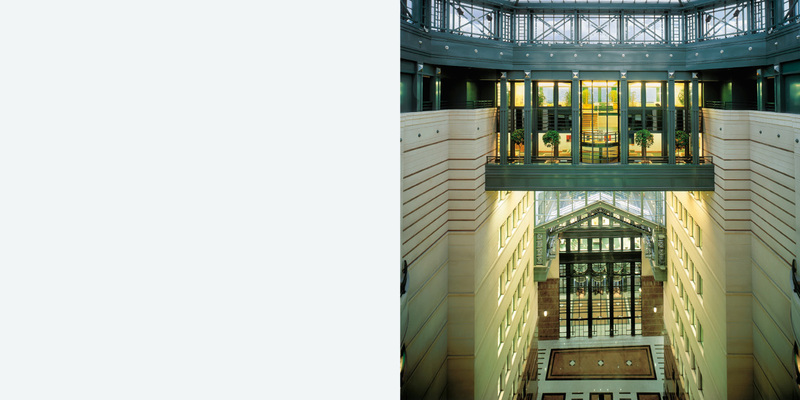 The architectural concept used for creating the headquarters of KBC Bank and Insurance, the largest 100% Belgian-owned financial group, intend to reflect its stability and solidity and arouse a feeling of confidence from and towards employees and customers. 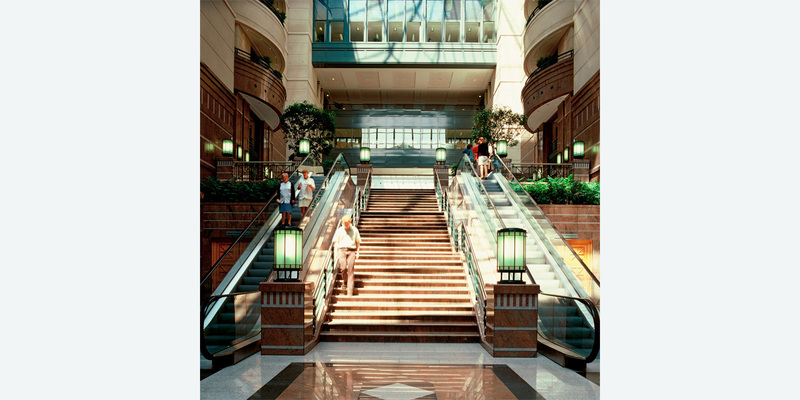 Combining traditional together with modern and innovating aspects, the 10-storey building provides office space organised around a series of low- and mid-rise landscaped atriums and includes a number of facilities such as restaurant and cafeteria, state-of-the-art auditorium and function rooms as well as rest areas. 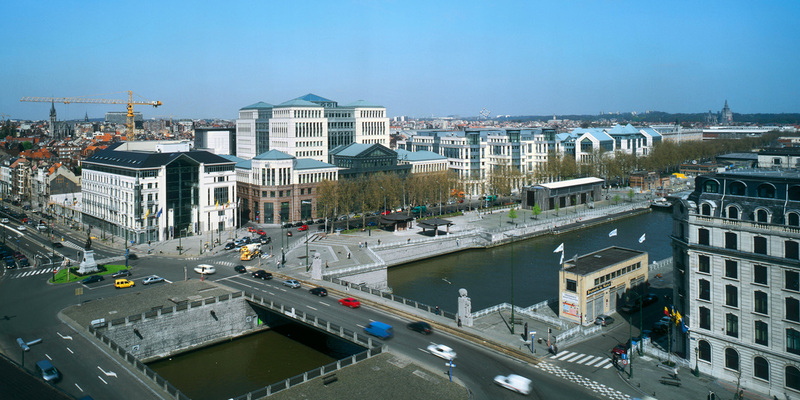 The decision of the KBC Bank to settle in the former decaying industrial zone along the water canal in Brussels, worked as a catalyst for the regeneration process of the whole area. 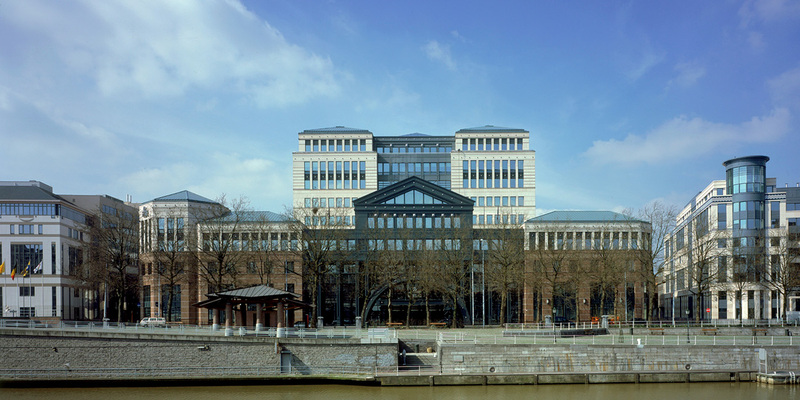 Since the completion of the KBC headquarters two decades ago, a series of new buildings were completed here and Jaspers-Eyers Architects has been fortunate to be the architect of most of them.